We’ve likely all seen a series or film about someone going missing, and the consequent police case, so this French eight-parter isn’t unique, but it has plenty of suspense, thrills and questions to maintain a sense of intrigue until the very last act. On the night of a music festival, 17 year old Lea Morel (Camille Razat) doesn’t return home and is deemed missing. 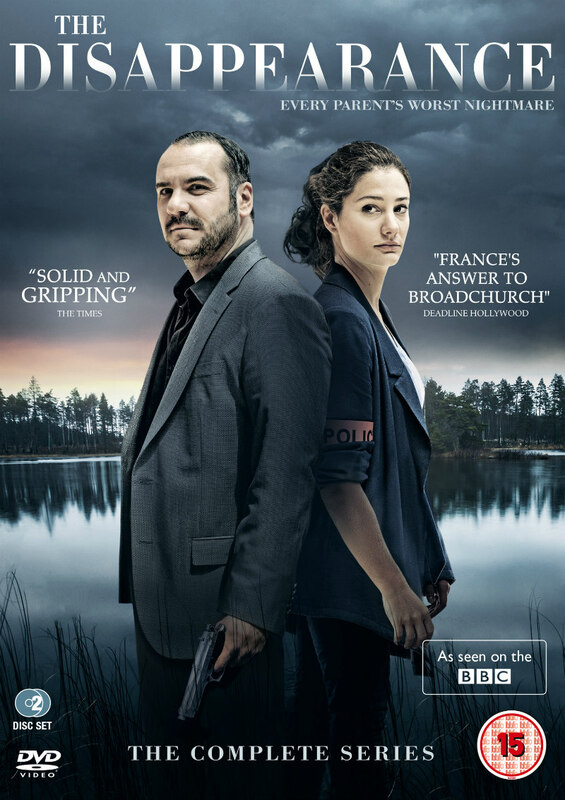 Commandant Molina (Francois-Xavier Demaison) and his deputy Camille (Alice Pol) begin a long strained investigation to find her so her family can retain hope, though it isn’t plain sailing, as even Lea’s relatives come under suspicion. What I like about this crime thriller is the brilliant construction of atmosphere; there’s a moody touch to every episode. That’s enhanced either by the few slowed down moments, as characters make their moves, or by the music from Frans Bak, who conjures up a suitably eerie feeling over most scenes. Everything in this continuing drama looks strangely haunting yet beautiful, including the cast, which perhaps could be viewed as a problem due to perfections of people and location making it harder to swallow the drama, but I can look past that mostly due to the neat building of tension. Marie Deshaires and Catherine Touzet write these eight episodes in a way that helps you get each character; you may not fully understand them as you may wish but there is enough rounded substance there to make their actions believable. The police commandant, father Julien (Pierre-Francois Martin-Laval) and mum Flo (Alix Poisson) have the more interesting motions to make and are the most well written. It gives a good scope to see how the parents each deal with the sufferings of grief, which helps make the drama come alive further. As I mentioned, the beauty of each location, handled well by cinematographer Pascal Gennesseaux, gives a glorious vision to scenes, but at times it detracts from the grittiness required of a story such as this. Also, there are a couple of teeny niggling thoughts by completion of watching this series that make you ponder about the authenticity of decisions made and the result of the crime. Charlotte Brandstrom cannot be faulted for her direction of this vivid slow burning mystery. It’s not even that slow burning; there are moments where we sit back, but on the whole I found myself hooked and agreeing with the pace this show maintains throughout. When certain clues come, you lean in as if you’re a fellow officer getting involved with the new piece of information; you truly want to piece together all the clues and identify the culprit, which is the intention for a season of this genre, so they definitely succeed on that basis. I must say that from episode one I guessed who was behind it, but it didn’t make the rest of the series any less engaging, in fact it did well at a couple of places to make me think about other possibilities. It’s not just that guessing game that ticks away the terrific tension. The end of four and all of episode five provide an affecting look at stress, sadness and anger. The last episode doesn’t even let up either; you get something, but that’s possibly not the true end. I must also commend the show for doing an interesting job in making me feel sorry for the criminal. Their life is hugely tainted by the end and it gives a different shade than just having an out and out baddie. Pierre-Francois Martin-Laval as Julien is a great watch. He goes on a somewhat silly police tangent of trying to solve crimes, but his quiet looks and need for action drives him well. Alix Poisson shifts between usual crying mum to stronger and worrying edges as she deals with the days ticking by. Zoe Marchal is a good watch as Lea’s friend Chris. She’s young, free but troubled, and continues that note of unsure characteristics in a fine way. Francois-Xavier Demaison plays the lead of this case with conviction; there’s a human touch to his gruff moments, which is something required as he grows close to the Morel family. 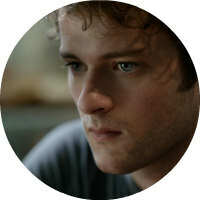 All the acting is suitably fine for characters that do just enough to keep interest. The story isn’t ground-breaking and smooth, glorious cinematography keeps the narrative from being as dangerous and gritty as it should be. Saying that, the mystery is there, the tension is always present and you want more each and every time an episode concludes. The Disappearance is released on DVD & Blu-ray by Nordic Noir & Beyond on July 4th.